Growing cannabis is an artful science. 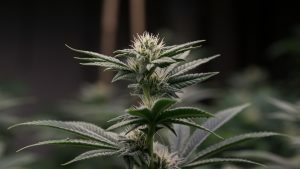 The math of growing fruitful and healthy cannabis buds is just as important as the tender, love and care growers put into their efforts and harvest. An important corne rstone of maintaining a vigorous and bountiful plant and yield is lighting. Growers from novice to veteran understand the importance of lighting for their cannabis plants. This article will assist you in understanding the fundamentals of the lighting spectrum. What is the Lighting Spectrum? 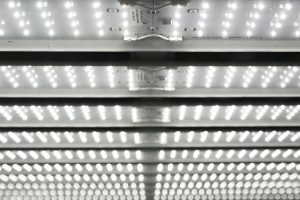 Since the 80’s, government agencies such as NASA have been trialing the effects that LEDs have on plants. We have learned that different ranges of light have many different effects on plants, especially cannabis. To the naked eye, light only appears white. However, the reality is that light comes in a range of recognizable colors. If you have ever witnessed a rainbow after a storm, then you have an understanding of the spectrum. The complete spectrum of light (pictured below) is an electromagnetic spectrum that ranges from infrared lights to ultraviolet (UV) light. The light spectrum is also measured in nanometers (nm). Visible light can range anywhere from 380 nanometers to approximately 750 nanometers. Every organic being on this planet is dependent on light to thrive and survive. Most studies have shown that lights in the Ultraviolet range are extremely beneficial for the overall body of the plant. Ultraviolet lights, or simply ‘blue light’ is essential in promoting and maintaining healthy and hearty leaves during the vegetative stage. This is achieved indoors by using lights such as compact fluorescent lamps, or CFLs or metal halide light bulbs. The lights aforementioned are capable of producing 400 to 500 nanometers of lights, or the latter end of the UV light spectrum. These lights mimic the Sun’s ability to give off the appropriate amount of blue light during the Summer and Spring seasons. 460 nanometers are often regarded as the model number of nanometers of light for cannabis during the vegetative stage. 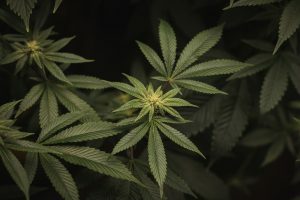 Green light (495-570 nanometers) has been proven to be the benefactor in yielding lettuce, however, this is not the case when cultivating cannabis. When your cannabis plants have become ready to enter the flowering period, the most effective light is infrared or red light. Infrared lighting falls in the range from 620 nanometers to about 780 nanometers. The goal of the flowering period is to yield the most buds your cannabis plants can physiologically produce. Scientists have shown that infrared lighting brings the rate of photosynthesis to its apex versus any other light on the spectrum. Some cases note that 660 is an exceptional number of nanometers to produce those big buds. Infrared lighting imitates the red wavelengths showcased by our Sun during the dog days of Summer and Fall. There is also little evidence that yellow light (570-590 nanometers) is useful for cannabis in its flowering period. Be sure to subscribe to our e-newsletters to stay informed on professional cannabis cultivation tips such as these and all things cannabis culture! 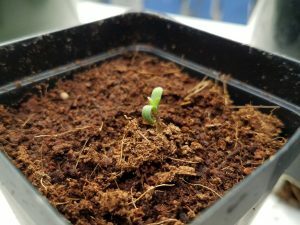 From the time your seedling germinates to the time you make your last feeding before harvesting mature buds – the health, stability, and ultimately a satisfying yield depend instrumentally on the nutrients. Understanding the specific needs of the cannabis plant is crucial for optimal growth. WeGrow is here to help guide you through the nutrient selection process. Following a timely feeding schedule during vegetative growth will ensure your young plants receive ample fortification and nourishment to prepare for the next step: the flowering cycle. Throughout the flowering cycle the cannabis plant requires certain new combinations of nutrients to make a fruitful bloom happen. As your seed, cutting or clone grows, it requires a base level of nutrient fortification to keep it on track. 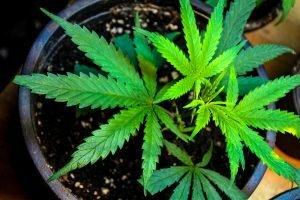 Since your (hopefully) healthy young cannabis plant has yet to have time to develop deficiencies, it is important to include a bit of preventative practice. This will ensure that it is getting accustomed to nutrients that will help it overcome problems later. “A” & “B” classified nutrients are a cannabis industry standard and are sold by many brands. These nutrients will be your plants’ regular feed for the entirety of its life cycle. 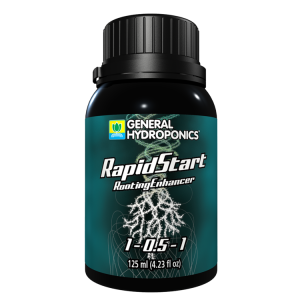 RapidStart is a an extremely helpful solution that delivers nourishment to the roots of the plant, while simultaneously supporting the plant’s growth and ultimate yield. This “rooting enhancer” can be used in both major stages of the cannabis plant’s life cycle. Cal-Mag Plus is an essential supplement meant to account for deficiencies that may occur within the plant’s growth cycle. 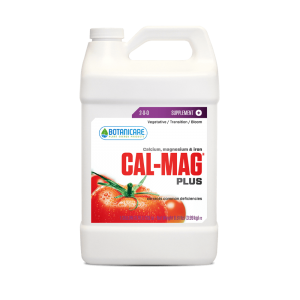 When used with other essential nutrients, Cal-Mag Plus’ supply of calcium, magnesium and iron work to ensure a healthy and robust harvest. It should be used in both vegetative and flowering stages. As you near your 2nd week of flowering, add some Phosphorous & Potassium for higher yields. 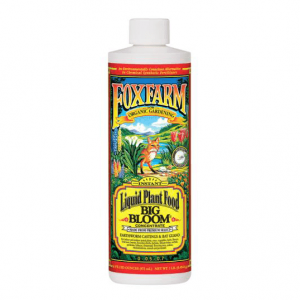 Utilizing an effective Bloom Solution is very important to your garden’s flowering period. Be sure to add this supplement to your regular feedings, but do not overfeed. Knowing the right nutrients to use is certainly crucial, but it is also extremely important to understand when NOT to use them. This occurs twice during a plant’s growth cycle. 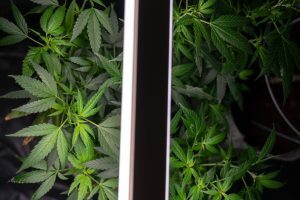 The first is immediately after you have taken your cuttings; introducing nutrients right away will shock the young clones, stunting their growth and often times causing your young plant to die. Spray nutrient-less filtered water on the fan leaves to ensure proper moisture. The second time you should not use nutrients is before harvesting; allow at least a full week of nutrient-less filtered watering to ensure that your harvest tastes and smells great! Keep following WeGrow for more information, industry updates, tips, tricks & hacks to get the most out of your grow! Small to mid-sized growers with indoor home-grows will tell you to pay close attention during your plants’ ‘Veg Cycle’. It is the time that your young seedlings or clones need the most care. Therefore, having a top notch regimen is crucial. From the nutrients that you use, to the amount and type of light that you give, every little detail matters. Experienced growers with many harvests under their belts will agree. Yielding those sticky, smelly, & potent buds depends completely on a hearty veg cycle. WeGrow is here to help guide you to a fruitful harvest. Keep reading for some exclusive cultivation tips, tricks and hacks! Firstly, the most important nutrient tip we can give to growers is to “start small”. By this we mean that because your plants are just starting their lifespan, you always want to start with the lowest ppm (parts per million) levels of nutrients. While your first instinct may be to jump start your plants by drenching them with food, this is wrong. Too much nutrients too soon will shock the plants and set them back greatly. Our next tip to ensure proper ‘vegging’ is to have some supplemental nutrients to help your plants overcome deficiencies. Be sure to include low levels of CalMag (calcium-magnesium) in your regular feedings. Increase as needed. As plants develop above their medium, their roots need to be nourished too. Use some Rapid Start with each feeding to ensure healthy root systems. 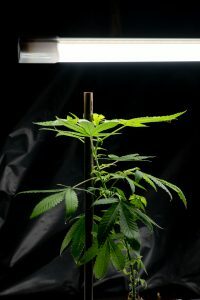 Next, indoor growers need to pay special attention to their light sources during the veg cycle. We recommend the VividGro GroBar. 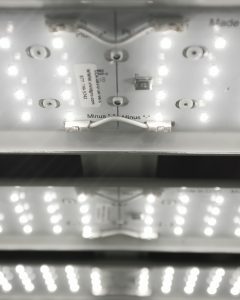 These lights will ensure that your plants get full coverage while being extremely energy efficient. Growers also need to be careful about how large or small they make their plants’ photoperiod. For plants to remain in the vegetative state they need at least 18 hours of light per day. 24 hours of uninterrupted light is the industry standard, but it is not necessary. Lastly, successful growers need to control the heat index of their gardens. Cannabis plants cannot survive extremes swings of temperature. Be sure to stay on top of this factor, especially during the cold of the winter and the heat of the summer. Indoor grows depends on electricity. And because power outages and equipment failures are common, it pays to be careful. Keep your vegging plants at a temperature around 72 degrees Fahrenheit. Dropping below 60 degrees or reaching above 84 degrees is not conducive to proper growth. The ‘Veg Cycle’ of your cannabis plants is a crucial time. It is a period in which they grow, strengthen and develop into mature plants capable of robust flowering. Following these tips will make your harvests soar! Follow WeGrow to stay current on news, tips, tricks and hacks to make your cultivation efforts a breeze!